1. Rotisserie-Style Chicken Wings. Oh My Goodness…and I mean GOODNESS! 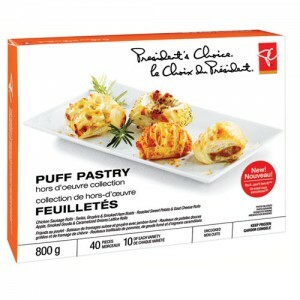 These are by far my new favorite President’s Choice Product of the season. I’m not normally a huge wing-fan, but they were completely delicious! 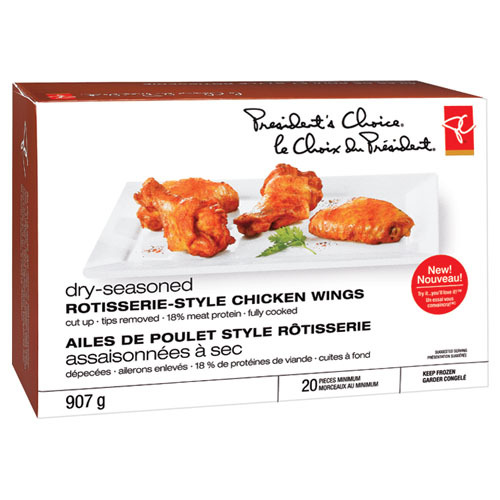 I wanted to eat WAY more of them than I had made (which is of course a mixed blessing when it comes to higher-fat foods) But as a treat you really can’t get better wings, especially at home. Serve with a salad, and a selection of dips/dressings and you’ve got yourself a winning meal. I won’t bother with restaurant wings anymore when I can whip these up in minutes at home. 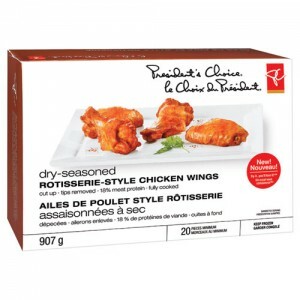 These rotisserie wings were simply perfect, not too big nor too small and lightly seasoned allowing you to choose to eat them plain or with a sauce or dip. 2. 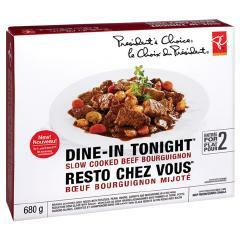 Slow-Cooked Beef Bourguignon – The new “PC Dine-In Tonight” collection offers restaurant-style meals for in-home enjoyment – a brilliant idea! Being parents of relatively young children, my husband and I don’t get out to eat as often as we’d like, and we miss that experience. These quick entrees (meant especially for two) are extremely easy to prepare, and were fresh and tasty, as well as eye catching when plated. I can’t say that it was quite as delicious as my own recipe for Beef Bourguignon, but given that it takes a small fraction of the time to prepare, you’ve got to love that! For a frozen entree, you really can’t beat the taste or ease of preparation. Quite honestly you could serve it to company, it was that good! Thumbs up on the new Dine-In Tonight Collection – the perfect easy meals for busy parents, or an easy impress-your-date meal 😉 Got that guys? 3. 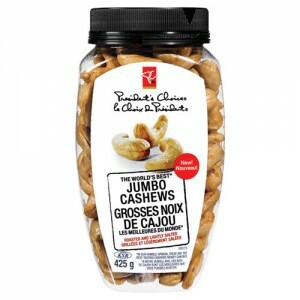 Jumbo Cashews – Do you have one of those people on your holiday-shopping list that you just don’t know what to buy? Yeah, we’ve all been there. Here is an easy gift idea for under $10. The World’s Best Jumbo Cashews – and they may just be! Seriously yummy and a great little gift for the hard-to-please. They’re also great for cooking. I used them in my homemade cashew chicken the other day, and it was sensational. The cashews are huge and sweet – a winning combination. 4. 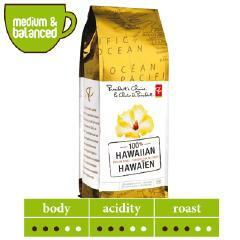 Hawaiian Coffee – When my husband told me this morning that we were out of my “new” Hawaiian coffee, I must have sounded like my 6-year-old son with an “Awww!” I really LOVE my morning coffee, and this medium roast Hawaiian blend is perfect for us to enjoy throughout the entire day. It’s very smooth-tasting and not at all bitter, and it goes nicely with dessert. I’m officially switching coffees. I’ve always loved the PC Great Canadian Coffee, but this one is a slightly darker roast and has such a beautiful aroma and taste. 5. And finally, the Dulce de Leche Cheesecake which is creamy, rich and home-made tasting. These little cheesecakes come in pretty little glass ramekins that make the perfect dessert accompaniment to dinner for two. I love cheesecake, and consider myself to be somewhat of a cheesecake connoisseur. When not baking my own varieties, PC is my go-to cheesecake of choice. This one is definitely at the top of my list! 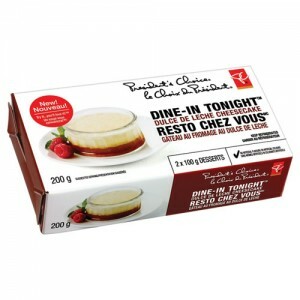 Top with fresh fruit, chocolate drizzle or caramel sauce, these make an impressive little after-diner treat. 6. Okay, I couldn’t stop at just five! 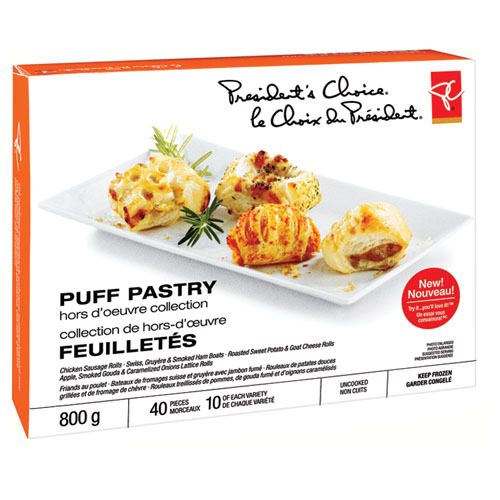 The Puff Pastry H’ors D’oeuvres Collection are superb! I served them at an open house over the weekend, and they were a hit! They taste homemade, and are so reasonably priced at .25/each! They are also gorgeous when served – really, you’ll be impressed and so will your guests! I know I said I’d choose only five selections, which turned into six (oopsie!) but I also wanted to mention a non-edible PC Product as well. The Silicone Pans for Gift-Baking. What a clever idea! If like me, you enjoy baking for people, but always seem to struggle to get your bakeware returned to it’s rightful place in your kitchen, PC has the perfect solution! Their new line of *disposable* silicone-lined pans allow you to bake gifts and give them away without the worry of re-claiming your pans! They even package them with pretty red ribbon for wrapping! How cool is that!?! You can also re-use them if you so choose. What I loved about the pans was how easily the desserts popped right out of them after baking. I have always been a fan of silicone baking sheets, and these new pans make baking loaves and cakes that much better! Well President’s Choice, you’ve impressed me yet again. Simple and fuss-free meal preparation is how it should be. Of course, we all love to cook and create our own dishes but the beauty of these products is that you may combine your own creations with the brilliant PC line to simplify the process, getting you out of the kitchen and able to enjoy your meals and entertaining with family and friends! As I always say, cooking should be fun and it doesn’t need to be complicated. PC makes it simple to enjoy meal preparation. Hats off to another great holiday line-up from President’s Choice! It was a sad day for me when our local grocery store switched from PC to Family Foods. I miss PC, especially as I read your blog.